If you’ve been injured in an accident, a personal injury attorney can help you deal with insurance companies and ensure that you receive fair treatment in settlement negotiations. On top of the benefits of experience and legal advice, you gain your biggest advocate throughout this process when you hire a personal injury attorney. If you’ve been hurt and you need a personal injury attorney, reach out anytime on my cell at 813-254-7119 or visit www.CallMeOnMyCell.com. However, the process of choosing a personal injury attorney could be overwhelming, especially after going through a traumatic experience. After you have done your research and narrowed down your top few choices who have reputable practices, here are some of the main factors to consider when choosing your partner throughout your legal process. The lawyer you choose will be helping you solve your problems. Therefore, the foremost qualification for you should be that you feel comfortable with them. Open and honest communication is essential to the success and comfort of the process. Nothing you read nor anyone you ask can answer this question for you. That is why meeting your top candidates and ensuring you feel comfortable and that they will be accessible to you is the most important step! The last thing you want is to be unsure of your legal team during this already stressful time. By discussing your attorney’s experience, their success rates, and their background in personal injury cases you will be able to determine if they have the experience and expertise you are looking for to confidently put your case in their hands. Ultimately, you want to choose someone who can fight for you so you get the care you deserve. 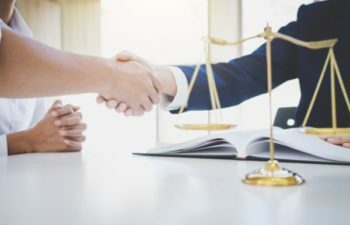 In addition to assessing the attorney, you meet personally, to ensure a good working relationship, the resources of a law firm often play a role in personal injury cases. After visiting the office, assess if you are confident that the firm has the resources to dedicate to your case. Keep in mind that you don’t know the time necessary to get the care you are looking for. There are many financial decisions that you should discuss during your meeting with your potential lawyers. Ensure that you are comfortable with the price and billing frequency. You should also go over any additional costs that you may be subject to sometime during the process. You don’t want any additional costs putting a strain on your financial situation while recovering from injury. Choosing the right personal injury attorney can ensure that you are comfortable and confident throughout what could be a strenuous legal process and that your case is settled in the most advantageous manner for you. If you or a loved one have been injured and need legal assistance, Call Me on My Cell! Reach out at 813-254-7119 or visit www.CallMeOnMyCell.com!